When it comes to DIY projects, it’s rare that you can repurpose one single item in three totally different ways. But blogger Malia, of Yesterday on Tuesday, offers an exception to the rule with this amazingly easy painted flower pot tutorial. 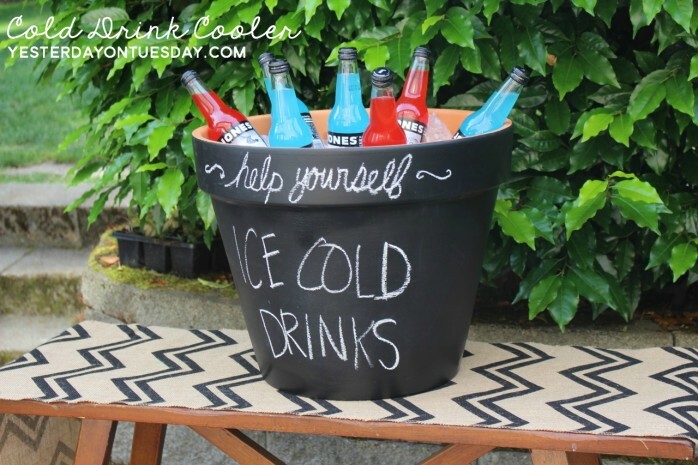 Think of it as your new ultimate summer party hack: It can serve as an outdoor side table, as an umbrella stand, and even as a cooler. 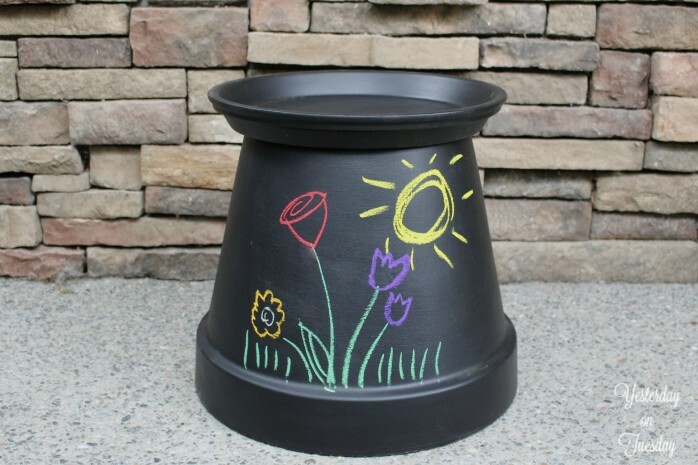 All you have to do is find a large terracotta pot and saucer at your local gardening store, paint it with chalkboard paint, and…that’s it. Seriously easy, and seriously cute. Flip the pot upside down and place the saucer on top. Now, it’s a side table that can sit pretty next to any of your outdoor chairs. Fill it with ice, and cool down your drinks. You don’t even need the saucer for this one. Lastly, flip the pot upside down over the saucer and place an umbrella inside the hole at the top of the pot. 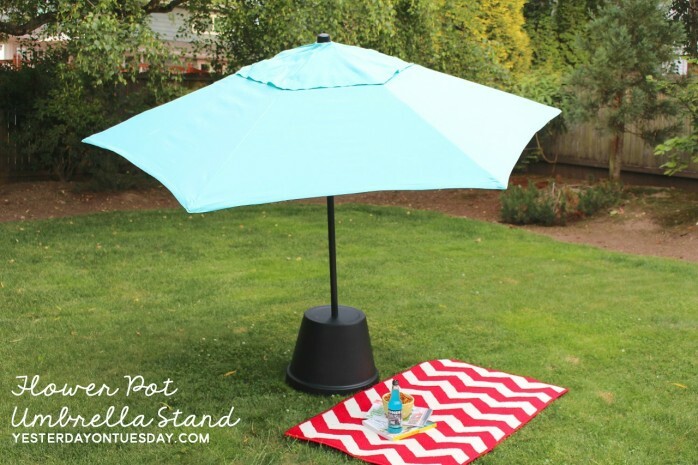 Now you can spend all day outside in the shade thanks to your flower-pot umbrella holder.